BAZAAR AND RUMMAGE by Sue Townsend. Is Gwenda helping the needy or is it Gwenda who needs help? When Margaret, Katrina and Isabel each leave home for the first time in years and meet face to face at the Church hall to run a jumble sale, they begin to question where Gwenda's motives really lie. With the help of Fliss, a trainee social worker, they start to re-gain control and make new plans for the future. In Bazaar and Rummage, Sue Townsend takes an hilarious look at the politics of self-help groups. 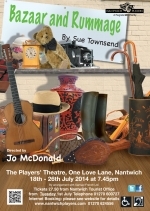 Directed by Jo McDonald, performances will be at 7.45pm, 18 - 26 July 2014. 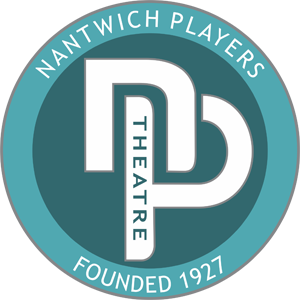 Tickets on sale Tuesday 1st July at Nantwich Civic Hall (01270 600727).